RUSH: Greetings, my friends, and welcome. How’s everybody doing? Kicking off a brand-new week of broadcast excellence. Every Monday seems like a clean slate, at least in part. And so here we are revved and ready to go again. And as we get started there are stories coming out of Capitol Hill that the Democrats are expected to provide enough votes to end the government shutdown. The Senate’s voting today at noon, a procedural vote. It’s all part of the cloture vote process. They need 60 votes to move on to what’s really at stake, and if they get the 60 votes, it’s pretty much an indication of what they want — in this case, a budget deal that would end the government shutdown. By the way, that’s what this shutdown’s about. This shutdown is about a budget deal. The Drive-Bys want you to believe the shutdown is over the fact that Republicans hate immigrants. Now, what it means, if this is actually true — and we won’t know ’til the vote is completed. This is all because of the what we think is gonna happen. It’s because people — aides to various senators — are telling people in the media that there might be enough Democrats to vote to end the shutdown. Now, you can look at this one of two ways. You can look at this as the Democrats realize what thin ice they’re skating on. And they really are. I mean, the real news of what’s happening here is how thin the ice is on which the Democrats are skating. It is never, of course, portrayed that way because of the media. But the Democrats have made choices here that, if there were proper informing of the American people on, they would be in heap big trouble, and I think it wouldn’t be that big a deal — wouldn’t that big a challenge — to properly inform the American people. Or there’s another possibility, and we won’t know until later today/later this afternoon when this all shakes out. The other possibility is the Democrats think that they’re ready to roll Mitch McConnell. 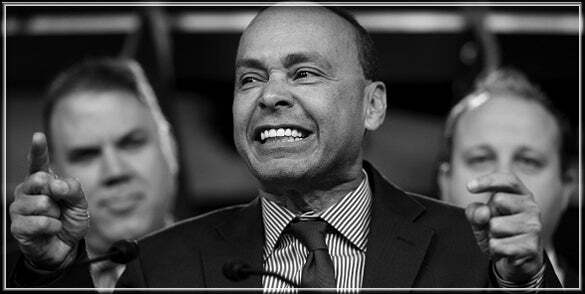 The Democrats think that they’re close enough to getting what they want, which is comprehensive amnesty for everybody who’s here illegally. They’re close enough to getting that that they can go ahead and end the government shutdown here based on commitments. We don’t know yet, folks. The Democrats expect to win the House in November, and whatever they do deal-wise on immigration today that may look like something against their own interests is something they think they could simply erase, which they could. If Democrats win the House and get close in the Senate, then whatever happens in this deal could be erased and wiped out and have a fight with Trump over how to deal with that. But even without the Democrats’ expectation that they’re gonna win in 2018, the Republicans would be wise to doubt the sincerity of any move that the Democrats will make. The Democrats… You know, the Republicans are holding fast here, and Trump is praising them. We’re in a new day here. I don’t mean to be dumping on the Republicans or sounding like I am, because I’m not. They’re pushing back. The White House is pushing back. I think it’s part of the reason why the Democrats are ready to try to end this, ’cause I really think they wanted this to go on through the State of the Union. I think they wanted this shutdown to go on interminably. The polling data on the economy and the tax cut is overwhelming except for one thing. Way too many people are still crediting Obama for it. And that’s totally the media. That’s not Trump’s fault. That’s not… That’s totally the media. And of course Obama and his people are out there saying that it is their economic policies in the last seven years finally now coming to fruition. Nothing could be further from the truth. There wasn’t one thing the Obama administration did to promote anywhere near the economic growth that we are having and are going to have. But that frame of mind, that public opinion can be changed, and it will as time goes on. But the public support of the tax cut and the economic confidence and the robust attitudes — positive attitudes — about the economy are inescapable and at some point, if not yet, it will dawn on more and more people that Obama had nothing to do with it; it’s all Trump. And I’ll tell you why. 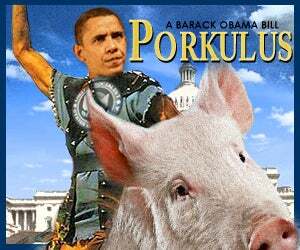 There’s so many things that the Democrats are not… Maybe they are counting on this. I don’t know. But when you get to Washington inside the establishment, they look at things in a static way, not dynamically. So you look at the tax cut, look at the Trump tax cut and what have they said about it? “It’s nothing for anybody but corporations! The only people who are gonna benefit are corporations. Corporations are gonna… (stammering) The average American is not gonna see a dime, is gonna get crumbs.” Of course that’s not true, people are seeing it. When the withholding tables get implemented next month and people’s take-home pay increases and then their bonuses happen, the tax rate on the bonuses will be much less. It’s going to be eye opening. But that’s just ignition. You know what else? Don’t forget the energy sector news. America is now near the top of energy producing nations and we are becoming a net exporter due to fracking and natural gas. And this has brought down the cost of energy. It’s made it more plentiful, obviously, and we’ve opened pipelines, and there is just a… You know, get out of the way and let this economy start chugging. And there’s one other thing. Apple. Apple’s decision to repatriate $250 billion. Now, of that $250 billion, they’re going to have to pay $38 billion in taxes, the single largest tax pay any corporation… (interruption) Why are you smiling in there? (interruption) Why are you laughing? (interruption) It is amazing: $250 billion. And in addition to repatriating that, they’re gonna invest another $350 billion unrelated to the $250 billion they’re repatriating to create 20,000 new jobs and build a new massive campus, employee headquarters, in a state that is not gonna be Texas or California. Can you imagine the bidding that’s gonna take place among states for that headquarters? Can you imagine the deals Apple’s gonna be… But wait! But wait! But wait! I’m jumping ahead of myself here. So $250 billion minus $38 billion is going to be repatriated. Why? Because the American corporate tax rate has been reduced from 35% to 21%. That means that the No. 1 corporation in the world has made the decision that the United States is the place to do business. Guess what that’s gonna make happen or cause? You’re gonna have foreign investment in this country the likes of which you haven’t seen yet. Somebody called it a howitzer, somebody in the Drive-Bys. Not the Drive-Bys, but somebody in punditry, media, called this a howitzer. It is that big a deal. Once Apple repatriates this money — and that’s a genuine stimulus, folks. That’s not an Obama stimulus. The Obama stimulus wasn’t a stimulus at all. It was just redistribution of existing wealth. This is $200 billion… We’ll call it $210 billion, you know, rounded up and be easily understood. We’ll call it $210 billion is going to be infused into the U.S. economy that wasn’t there. It’s not being taken from somewhere else in the U.S. economy and redistributed like Obama’s was. This is taking $250 billion that was not here and putting it in a giant syringe (Pfft!) and injecting it here. Plus Apple’s other $350 billion. So here’s over half a trillion dollars that is going to be invested in the United States of America. What do you think the impact of that is going to be on other businesses and corporations around the world when the United States becomes the place to invest? All of this is going to happen this year. We are on the cusp, potentially here, of an economic boom the likes of which we haven’t seen, and the added bonus is the American people are right in there participating in it with their tax cut, with their more disposable income, with their wage increases and bonuses. And when this stuff all kicks in, the idea that the Democrat Party needs to be elected because we all hate Trump and Trump’s a bigot and Trump’s bad and Trump’s a moron and Trump’s immoral and all that and we’ve got to make sure we provide for legal immigrants and so forth, could just fade away as an issue or two the Democrats could win on. So much to observe here. 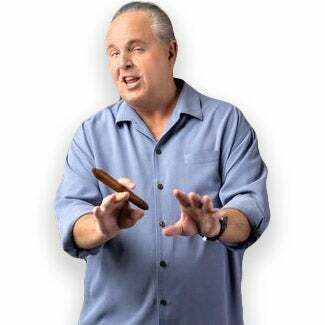 RUSH: Senator Schumer just said that the government will reopen in a few hours and he was peppering that in a speech about how wonderful the Democrats are and how much they care and how strident and mean-spirited the Republicans are and how obstinate Donald Trump is. But nevertheless, they’re gonna find a way to work with good Democrats and moderate middle people and find a way to deal with the extreme elements of the Republican Party on immigration. So ’til I know more about the actual details of this, I’m gonna reserve analysis and comment on it. My instincts are the Democrats had an awakening here that they were skating on thin ice. It could be the opposite, though. We’ll just have to wait and see. RUSH: Okay. “Key Senate Vote to Reopen the Government for Three Weeks” is what is being reported now. My take on this is Trump wins. Trump wins. The government shutdown has been… When was the last time the GOP won a shutdown showdown? When was the first time the GOP ever won a shutdown showdown? Yet Trump has won a shutdown showdown. 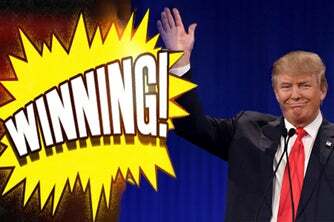 The Schumer Shutdown showdown is over and Trump has emerged victorious. But further analysis I must delay until I find out the guts, the nuts and bolts of this. 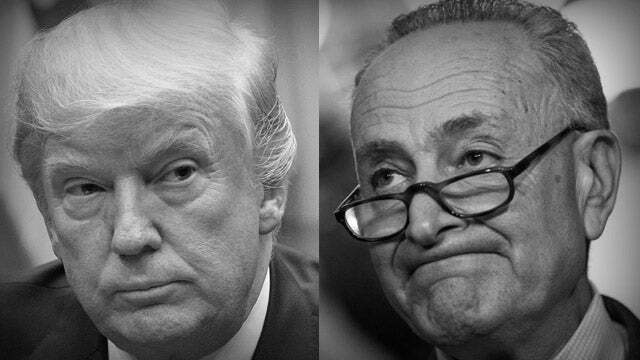 RUSH: We have a sound bite from Senator Chuck You Schumer complaining that Trump refused to negotiate over the weekend. The situation became dire. It sounds to me like that Schumer and the Democrats expected the Republicans to cave, and Trump did not cave. And the Democrats know they’re on thin ice on this and so Trump wins. 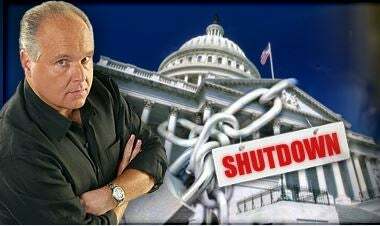 RUSH: I actually think the “Schumer Shutdown” was effective. These guys, they did not want to continue this. The Democrats did not want to continue this. They started it. They shut down the government. They’re the ones that ended it, and the only reason can be it wasn’t working as they had intended. It wasn’t accomplishing what they wanted it to accomplish, and I will bet you that they were counting on the fact that they think there’s so much hatred for Trump. I think they look at Trump’s approval number polls, and they believe them, and they see that only 40% of people approve of Trump, and they think, “This is slam dunk. “We can shut down the government and we can make ’em think the Republicans did it ’cause we always make ’em think that — and now we can add Trump to it and we can blame Trump, ace negotiator, out of his league, doesn’t know what he’s doing. We can blame Trump!” They just didn’t count on the fact that — and this is beyond me why they didn’t. But they didn’t count on the fact of Trump returning fire. Not just returning fire, Trump went on offense. Trump and Mick Mulvaney went on offense, started calling it “the Schumer Shutdown,” explaining to everybody that the Democrats were given everything they were offered, that DACA was in no immediate threat. “It doesn’t expire until March. There’s no reason to do this.” If the Democrats were profiting from this, if the Democrats were gaining ground, if the Democrats were moving down the road toward winning the House in 2018 with this, the shutdown would still be on. I’m convinced that they wanted this to go on through the State of the Union. I think their intention was to have Trump deliver the State of the Union during the government shutdown. I think they had all kinds of grandiose plans. I want you to hear one bite before we get to the phones. This is Susan Collins, well-known Republican moderate from Maine. After the shutdown vote in the Senate she was talking to reporters. COLLINS: We started out with about 17 senators attending the first meeting in our office. And the number grew, ultimately, to 25 senators, senators representing generally the center of the parties. COLLINS: Both Democrats and Republicans. COLLINS: And what we shared in common was the determination to accomplish the goal of reopening government, convincing our leaders that there was a path forward that would also accommodate those of us who were concerned about the fate of the DREAMers who live in this country, many of whom have known no other country as their home. Okay, look, I’m gonna get in the weeds. I’m gonna do this. Normally this goes deeper in the weeds than I would. But you people are smart and attentive and you are absorptive, meaning you hear this stuff and you don’t forget it. I want to tell you what the Republicans offered that led to the shutdown. The Republicans first offered a budget deal that would keep the government running and a DREAMer amnesty. DREAMer amnesty has always been on the table with Trump. The polls all show that 80% of the American people want something done for the DREAMers because the American people have been led to believe that they’re teenagers. “They’re just young kids, Mr. Limbaugh! They’re just young children. They were brought here, they don’t know anybody, and they’re parentless, and they don’t know any other country.” Well, most of them are not teenagers anymore. They’re into their young twenties, mid-twenties now. Some of them are even in their thirties. I don’t know what percentage of them work but they’re not exclusively a bunch of kids. But, anyway, the politics of this, because everybody thinks they’re kids, the Republicans/Trump offered amnesty for the DREAMers weeks ago. In fact, the Democrats said that’s what they wanted. They wanted amnesty for the DREAMers, and they wanted enough money to keep the government operating. All Trump said, all the Republicans said was, “Give us something on the wall.” Like I said last week, “Give us 10 feet! Give us 10 feet of the wall. Give us something on chain migration.” Schumer would not budge, even though amnesty for the DREAMers and enough money to keep the government running was in the deal. So then the Republicans revised their offer. They said, “Since we seem to be going nowhere, let’s just not even talk about immigration. Let’s kick that can down the road for a while, and let’s fully fund the government and we’ll throw in an extension of the Children’s Health Insurance Program.” That’s something else the Democrats have demanded. That’s something else they wanted. So we were gonna fully fund the government with a full-fledged CR and an extended long-term extension of the Children’s Health Insurance Program, which the Democrats wanted to do too. And the Republicans said, “We’ll come back in March when the DREAMer thing is set to expire, and when we don’t have any hard-and-fast limits here, because we’re gonna do the budget. So we’re not gonna come up with any deadlines that we’re running out of money.” And they rejected that. The Democrats rejected every proposal. So the Democrats and their rejection forced the Republicans to come up with a third attempt. What it was is the Democrats had made it clear that amnesty — which they’ve always made clear and a lot of Republicans, too. 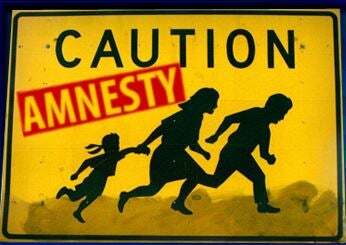 “Amnesty, “comprehensive immigration reform is a requirement. “We’re not moving forward ’til we get some kind of commitment on that,” and since the Republicans had taken amnesty for the DREAMers out of their second offer, Republicans said, “What can we do? (sputtering) What — what — what can we do?” So McConnell came up with an idea to get rid of the filibuster and let’s pass a funding bill. Let’s do the budget side of this with just 50 votes instead of 60. They refused that! They refused getting the money they wanted and they refused amnesty for the DREAMers in two separate offers. They refused a deal that would pick up amnesty for the DREAMers in March. They wanted the shutdown. The Republicans gave them three variations of everything they wanted, including, “Hey, let’s do a vote on the budget and get rid of that. Let’s extend the budget here with only 50 votes,” and the Democrats said “no” to that. And when Schumer said, “No” to that — when Schumer said “no” to a temporary vote, a one-time vote getting rid of the filibuster — that guaranteed the shutdown. There were three separate offers that the Republicans included everything the Democrats wanted. So now after a weekend of this, all of a sudden the Democrats are able to find the votes. So you tell me, what was not happening that the Democrats expected to happen?